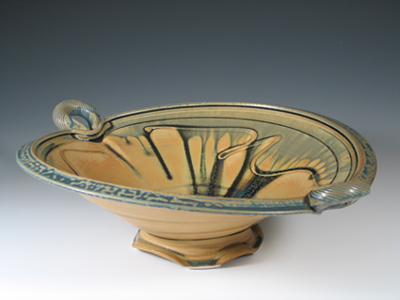 While in art school Sankowski spent time doing studio work in clay. 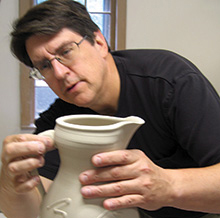 It became a lifelong passion. 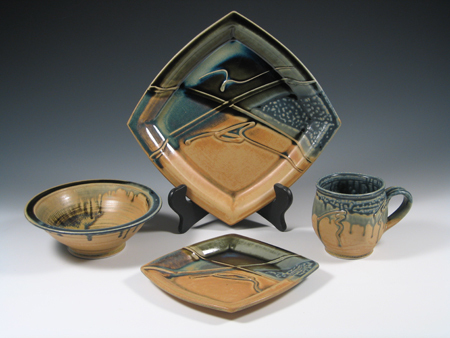 Jim has been a potter for more than 30 years, with devoted collectors across the country. 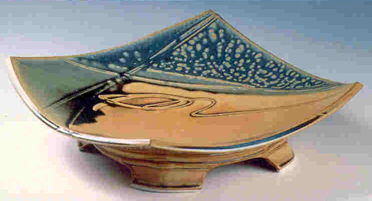 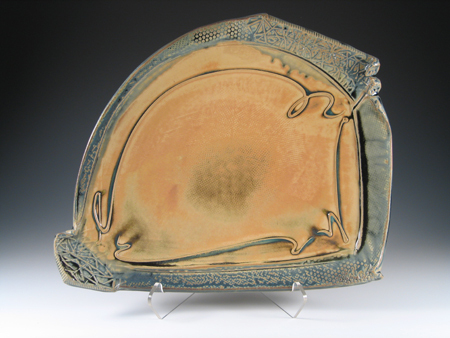 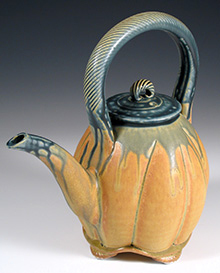 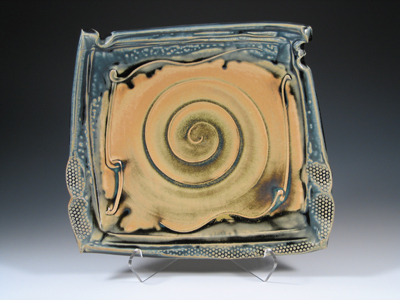 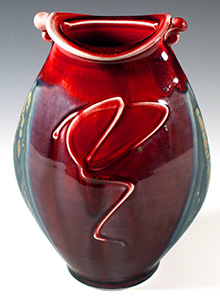 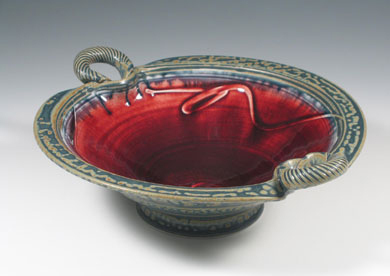 Living and working in upstate New York, Jim creates pottery with free flowing lines and overlapping glazes. 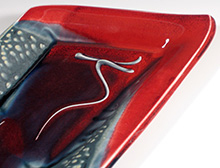 In both functional and decorative pieces, his work has a distinctive flair of contemporary design. 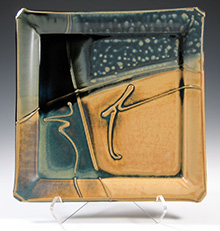 Square Platter - 14" x 15"